It’s a sign Wall Street is steadily losing patience with President Donald Trump and his promises of tax, healthcare and infrastructure change. Yesterday the Dow Jones traded briefly at 21,600, an intraday low for the Dow and, more importantly, below a previous 50-day moving average of 21,629. Currency-wise the euro was trading at $1.1801 against the dollar at 7am while the pound was at $1.2883. The dollar was 0.26% up against the yen at 109.24. Watch for US house price news at 2pm. There's new University of Michigan Consumer Sentiment data at 3pm while here in the UK the CBI's Industrial Trends Survey emerges mid-morning. 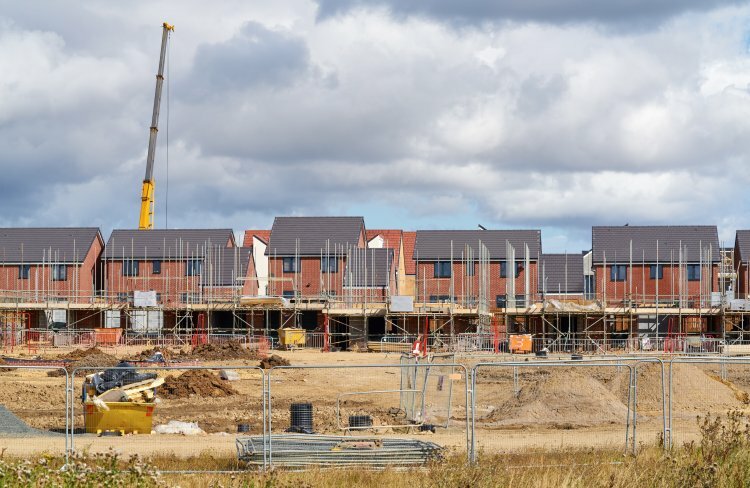 Housebuilder Persimmon says profits have surged to £457.4m compared to £352.3m for the last six months. Sales have climbed £1.6bn, a 12% rise. Persimmon claims an expansion of the underlying operating margin to 27.6% (2016: 23.8%). The average selling price also climbs, from £205,762 to £213,262. “Our private reservation rate over recent weeks is 2% ahead year on year,” says chief exec Jeff Fairburn. “Whilst we remain vigilant to changes in market conditions we also recognise we are in a strong position to take advantage of opportunities that arise. We are looking forward to a good autumn sales season." Bad news at payday lender Provident Capital. Chief exec Peter Crook quits “with immediate effect” following a fresh – and second – profits warning. Provident expects to see new losses of up to £120m. Collections performance is running at 57% versus 90% in 2016; sales are £9m per week lower than comparative weeks in 2016 Provident admits. Provident's dividend is also abandoned. Several hedge funds are thought to have ‘shorted’ the stock. "I am very disappointed,” says new boss Manjit Wolstenholme, “to have to announce the rapid deterioration in the outlook for the home credit business. Protecting the group's capital base through withdrawing the interim dividend and in all likelihood the full-year dividend is the appropriate response to maintain the highly valuable franchises of Vanquis Bank, Moneybarn and Satsuma." Other news: Ford is offering £2,000 off a new model for owners of pre-2010 cars. The deal is offered to owners of both diesel and petrol cars. "Removing generations of the most polluting vehicles will have the most immediate positive effect on air quality, and this Ford scrappage scheme aims to do just that," says the company. Breaking news: Sports Direct ups its take in Debenhams to 21% from 16%. BHP Billiton is selling its US shale business deeming it "non-core".